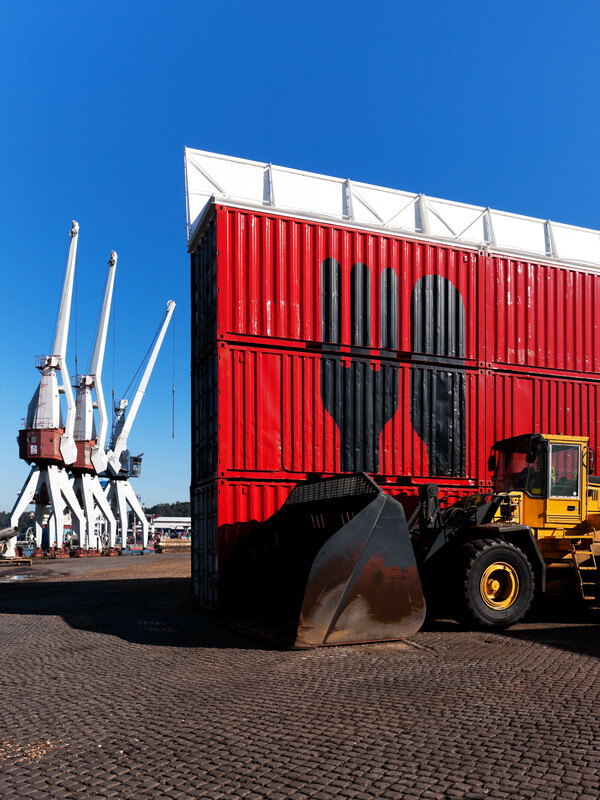 The proposed reformulation of the existing container barrier on the South Piero of Dock 2 of the Porto of Leixões is intended to mitigate the impact of bulk unloading operations, specifically wood chips. 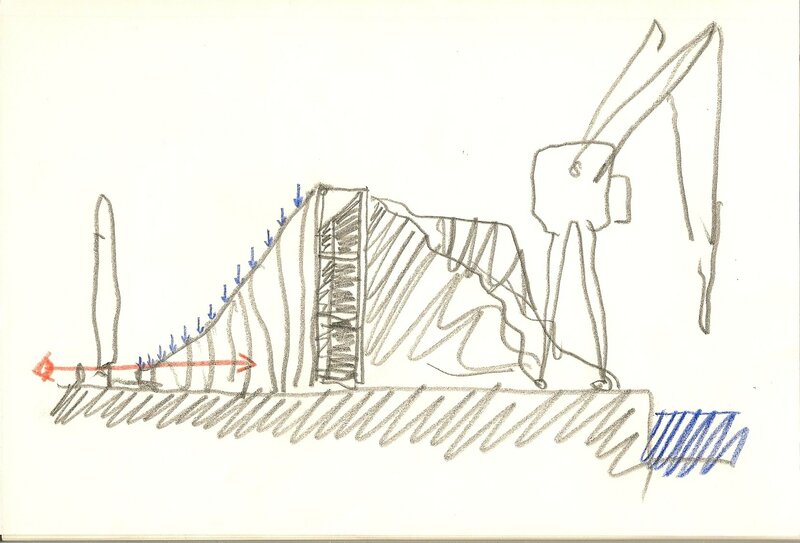 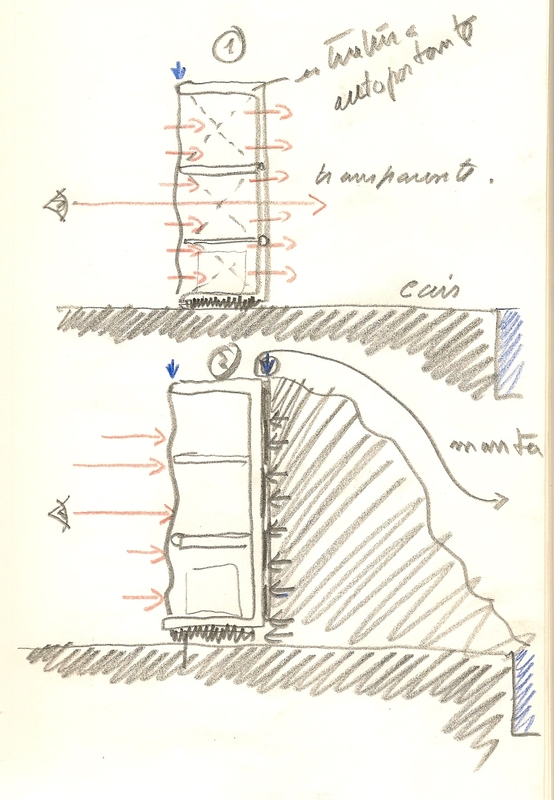 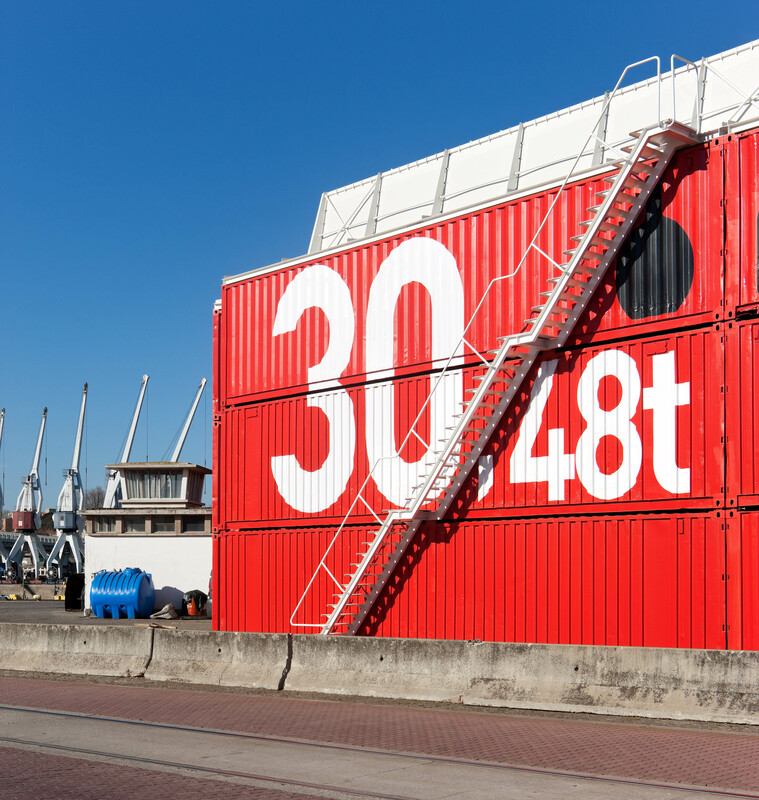 The proposal provides for the rehabilitation of the container structure with the installation of graphic animation. 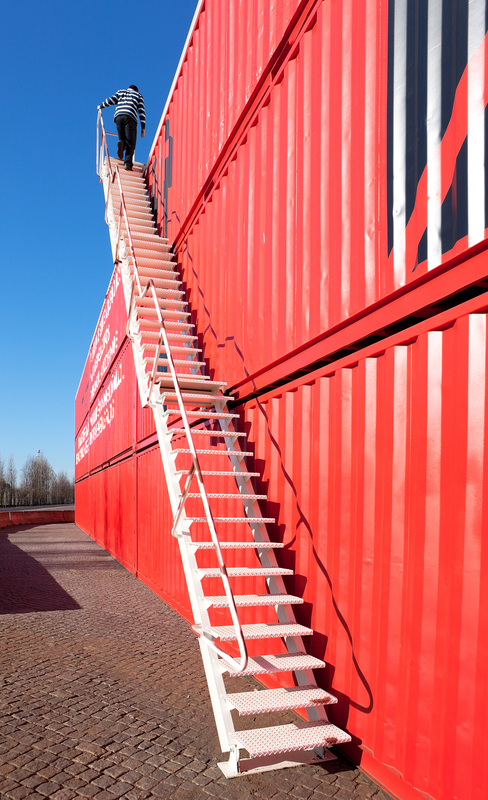 On the container barrier is constructed a second barrier – a windscreen – for the trapping of dust, made of structured steel and coated with translucent fabric and applied winged ladders. 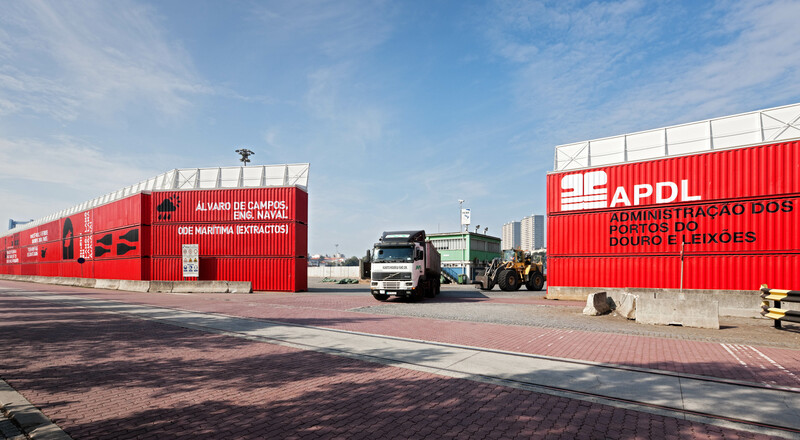 There is in the barrier idealized with recovered containers, the relevance of a dual action, both in the economy due to the sustainability of the media (recycled), as well as in the metaphor of the “containers” as objects themselves, used as a technical solution for the containment of the wood chip son the pier while unloading and the origin of a certain poetic effect of the installation. 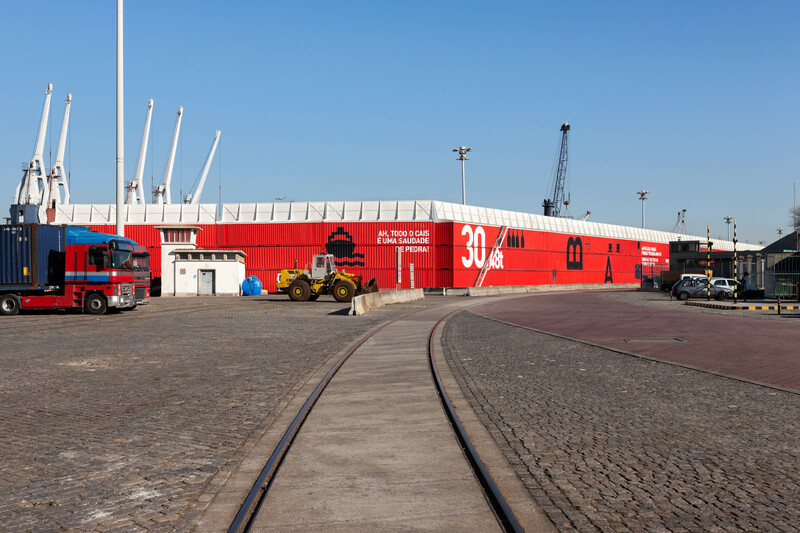 The literary installation of the poet Alvaro de Campos, Naval Engineer (heteronym of Fernando Pessoa), gains opportunity as soon as it wants to symbolically value the port function of the dock as a platform for the international meetings, founder of a new world, instead of sublimating it into the cityscape. 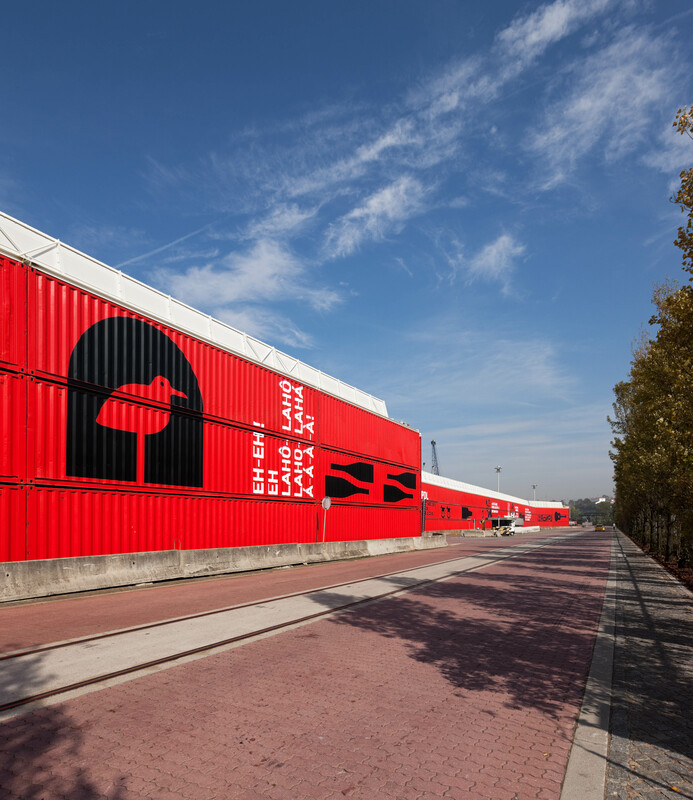 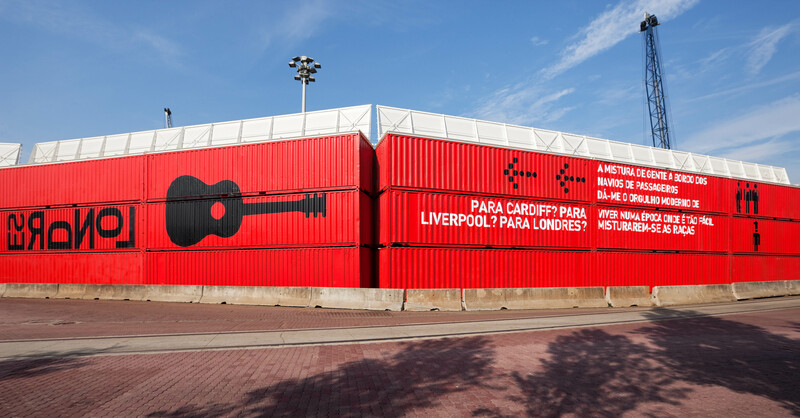 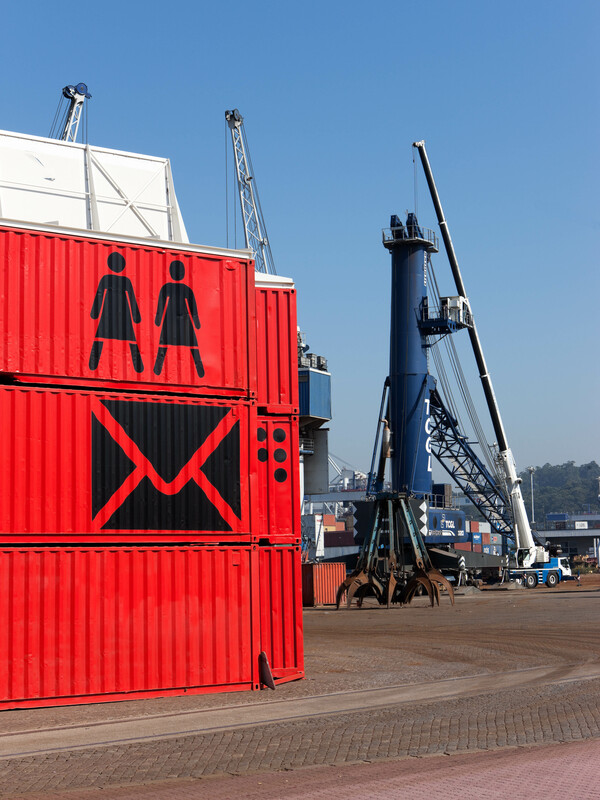 The graphic intervention of the poem, with functionally readable typeface, like the technical indications of containers, is made using black pictograms on red background, giving an expression of modernity to the national exportation. 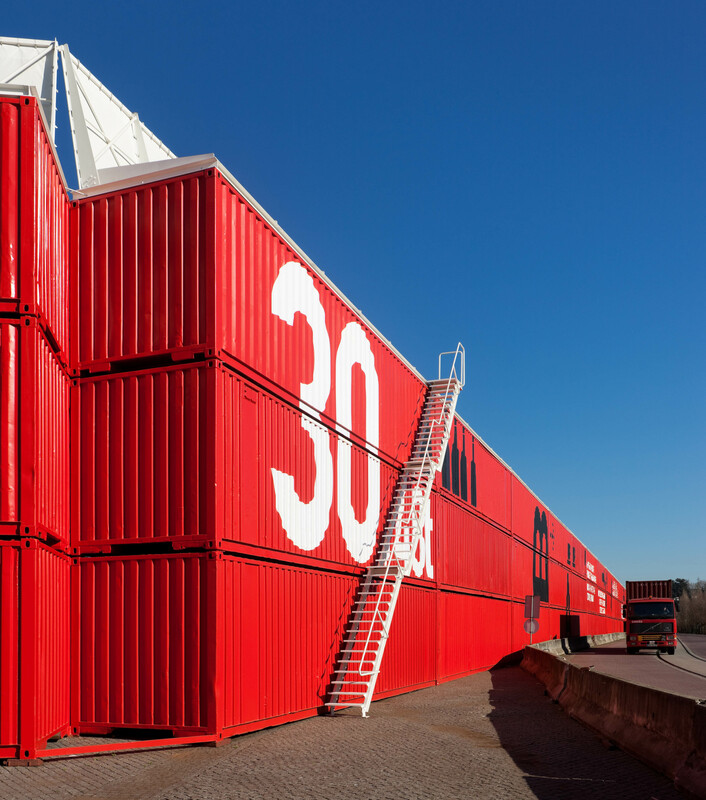 This present facility confers a communicative interface on the Leixões port with the city, capable of absorbing the incompability of industry with housing,thus becoming a means of enhancement of the APDL, together with the public that pass by with the transit system.